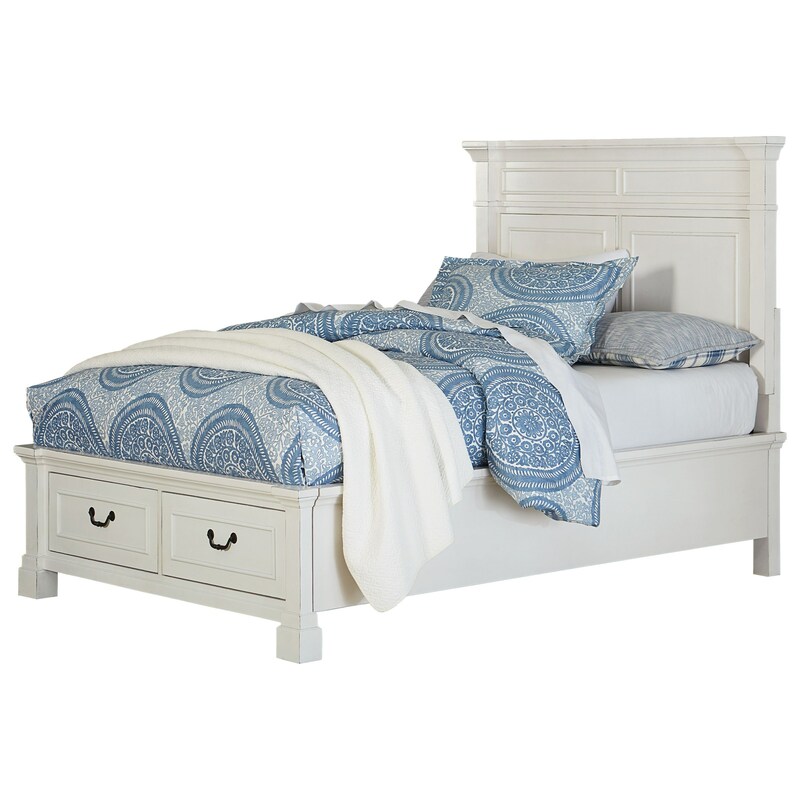 This charming twin bed with built-in footboard storage is inspired from the coastline of the mid-Atlantic. The design of the bed is traditional with raised panels with bead frames and a flat crown on the headboard. The elegant design details, paired with a distressed white finish lead to a stylish centerpiece for your bedroom. Pair with a dresser and nightstand from this collection for a matching vintage bedroom set. 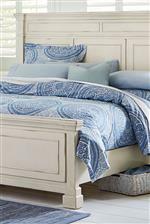 The Chesapeake Bay Full Panel Bed with Footboard Storage by Standard Furniture at Miskelly Furniture in the Jackson, Pearl, Madison, Ridgeland, Flowood Mississippi area. Product availability may vary. Contact us for the most current availability on this product. The Chesapeake Bay collection is a great option if you are looking for Coastal furniture in the Jackson, Pearl, Madison, Ridgeland, Flowood Mississippi area. 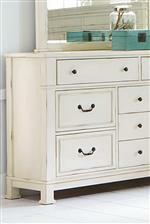 Browse other items in the Chesapeake Bay collection from Miskelly Furniture in the Jackson, Pearl, Madison, Ridgeland, Flowood Mississippi area.